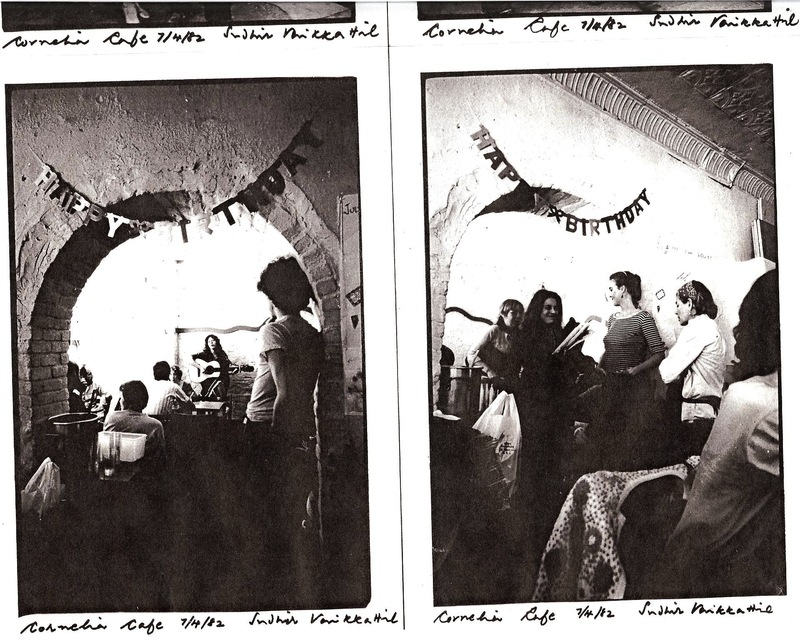 The fiery hand of Ted Berkowitz has steadily chronicled our Café since he first wandered downstairs in the early oughts. 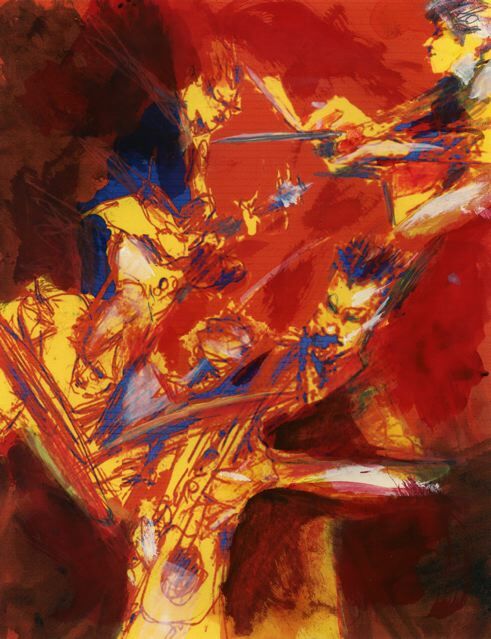 An exhibition of his work, variegated figures caught in between glances and strikes of the keys, opens at 5:30 this Tuesday eve in our back room. 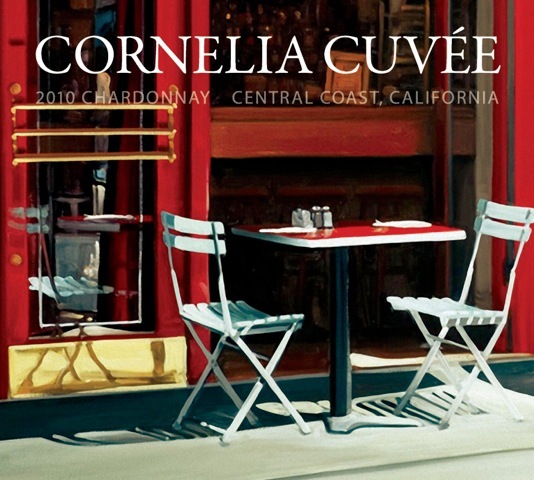 That same night at 7, we celebrate the birth of Cornelia Cuvée. After decades of tasting, and many awards for our wine list, we have finally succeeded in putting our name behind, and our labels on, two wines grown and vinified for us in California by the Millbrook Winery which makes some excellent New York State wines less than 90 miles up the Hudson from us. They own vineyards in California, where they make a small amount of exceptional Pinot Noir and Chardonnay. Sensory Evaluation: The cooler temperatures California’s Central Coast vineyards make this the ideal site for cool climate varietals like Pinot Noir. 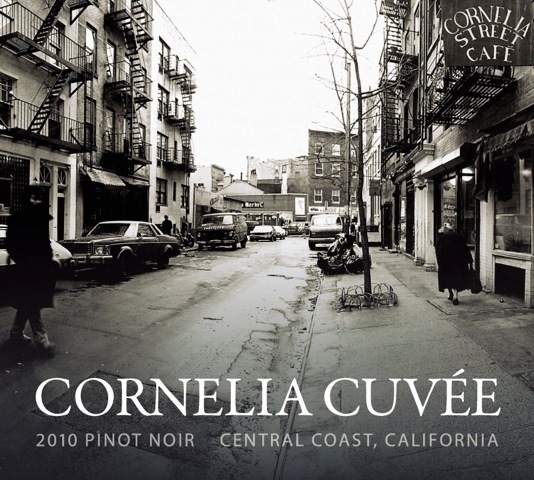 Ripe flavors of cherry, plum and strawberry and soft tannins encompass this well-balanced wine. Sensory Evaluation: Bright and floral on the nose with a touch of ripe peaches and pear. On the palate, the wine is fresh with good richness and flavors of exotic fruit. One early evening in July, our lovely host (I can’t quite remember which one, but all our hosts are lovely) called down to the office and said, “There’s a woman at O1 (O stands for outside, and O1 is the first table on the left if you’re facing out from the bar room) who says she was here seventeen years ago and she would like to speak to you. I am a sucker for these kinds of moments, so of course I came up. At O1 were three people—a mother, a father, and what I assumed was a daughter. I introduced myself and the mother asked me how long I had been here. I said that this month we were celebrating our 24th birthday and that I had been here since the day we were born—indeed from the moment of conception. I detected an accent. So, of course, we opened a bottle of champagne and we took photos of the family, and of the four of us, and of the café from the outside, and of the famous table at which, seventeen years before, this beautiful young woman had acquired her name. You are currently browsing entries tagged with robin hirsch at Cornelia Street Café.